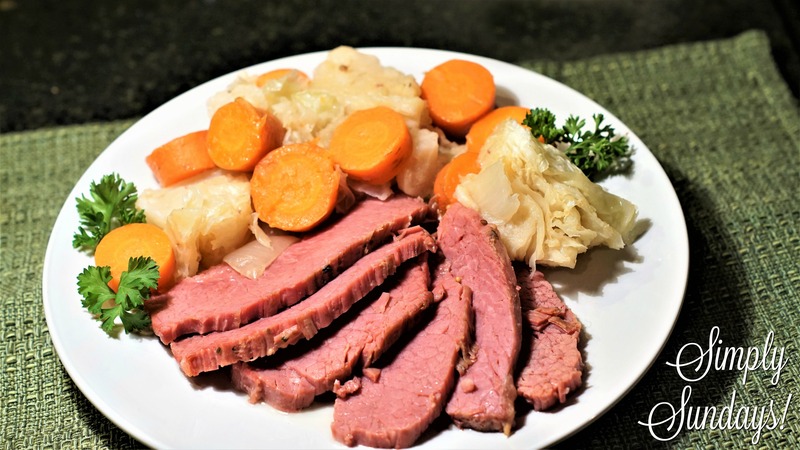 Corned Beef & Cabbage – Simply Sundays! Now, I have evolved to the pressure cooker so we don’t have to wait all day for our dinner! Since I’m using the pressure cooker, I’ve rinsed the beef thoroughly. This is important or else you’ll have salty beef! And we typically serve our Corned Beef & Cabbage dinner with Loaded Baked Potato Casserole rather than boiled. Entirely up to what you and your family prefer! My pan is so big I don’t have a lid that fits it so I have to use a sheet pan. Where there’s a will, there’s a way! It looks so delicious! I would try this one, but I don’ t know, where I can get corned beef that way! I only new the one in tins! Maybe I found a recipe to make corned beef 😉 And I love savoy cabbage! Lovely dish! I wish I could ship one to Germany for you Emmi! lol… If you can get a hold of a brisket of beef, there are many recipes to “corn” your own.